The Hayne Royal Commission has exposed some horrifying evidence of outrageous misconduct on the part of our previously revered financial institutions. Misconduct which counsel assisting the Commission has proffered to Commissioner Hayne, amounts to literally hundreds of thousands of instances of alleged illegal behaviour that merit close examination by the regulators with a view, in many instances, to criminal prosecution. Senior business people have seen their reputations trashed while many others have been so far been lucky to have escaped the worst outcomes. One of the most significant critical issues to come of the report is the failings on the part of senior management and boards in appropriate corporate governance and, therefore, in instilling the relevant culture in organisations. 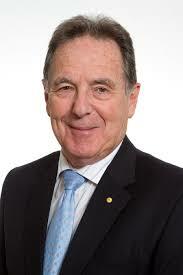 Graeme is well known for his former public roles including being the Chairman of the Australian Competition and Consumer Commission and of the Victorian Taxi Services Commission. He is currently a Professorial Fellow in Monash University’s Business School and School of Public Health and Preventative Medicine and a member of the APRA Panel to conduct a Prudential Inquiry into Commonwealth Bank of Australia.